Slow sites will lead to poor user experience, losing your users and also your sales. Understand that, we have spent a great deal of time to work on performance and security improvements to make phpFox fast and secure for great user experience. When your community grows, you will find out that the phpFox software is an Efficient Investment for your Growing Business. If performance is an important factor when choosing where to invest your hard earned dollars in purchasing a script for your website, phpFox is the right choice for you. You'll find that our script is lighter and faster than many of our competitors. Even free scripts can have more costs involved as server costs, support costs and other costs can multiply if a script is not optimized. 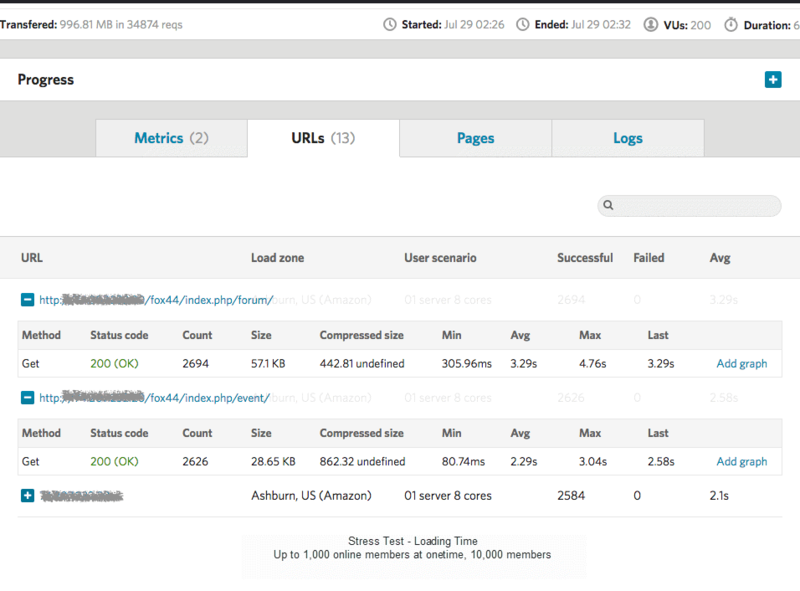 We've gone through many stress tests, coding reviews, and other important checks in order to optimize our script to serve any type of site, whether small or large. You'll find that as your site grows, having a script that naturally scales up by design is invaluable, and this is what our script is designed to do. Click here to learn more about this. 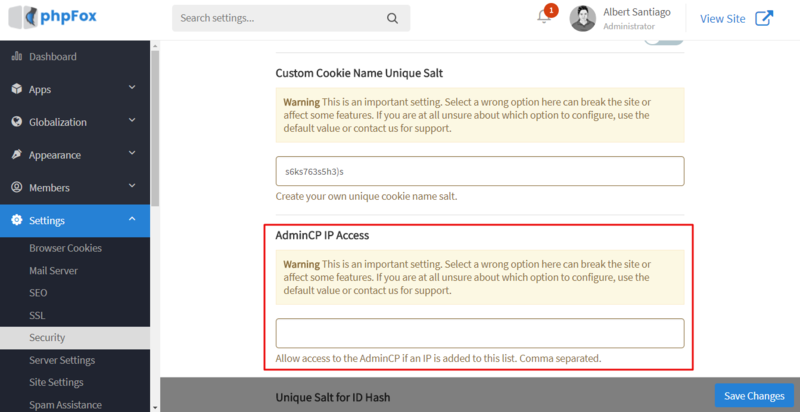 We include a security setting that allows you to restrict access to the AdminCP by IP addresses that you allow. 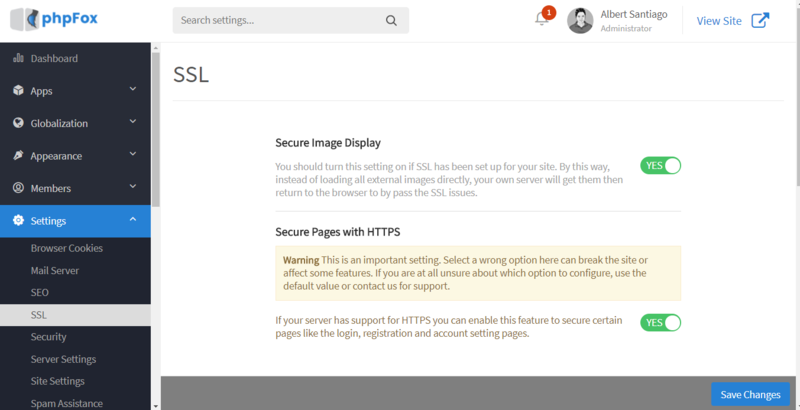 Once you have a security certificate for your server, you can set the following settings to use HTTPS for your phpFox site.